At Shepley, we like to make sure customers have plenty of design options to choose from. We know how important it is for installers to have a good level of choice on colours, styles and glass designs to make them the stand out company in their area. That’s why we provide so many options when it comes to our Visage composite doors and PVCu windows, in a quick turnaround time too. But it’s not just design where Visage makes a difference. Each door and window manufactured by Shepley is built with reliable hardware to make sure they meet security standards and achieve high energy efficiency, keeping costs down. Being able to demonstrate the options available to homeowners, can help installers to win more business. Which is why we have made short videos that customers can embed on their websites or use across social media to help sell more Visage windows and doors. 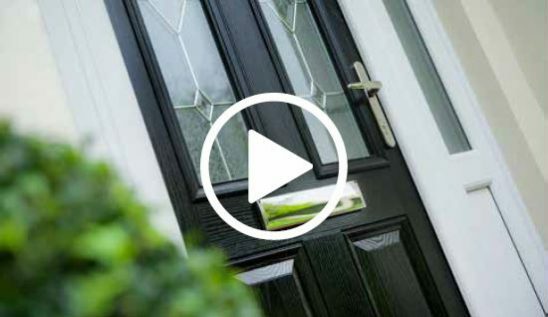 Our PVCu window benefits video shows the benefits homeowners get from choosing Visage. Features include REHAU 5 chamber frames, which is the only window profile with a severe weather seal, Yale security, anti-jemmy hinge protection, Secured by Design accreditation, and 17 standard colour options. Installers can shout about the fantastic choice on the Visage Composite Door Collection too. Highlighting 37 door designs, exclusive glass including matching sidelights, REHAU door frames fully suited to the windows and glazing options including our stylish Inox Glazing. If you’d like to embed either of our videos on your website or social media, use the embed codes above. For any support or advice, call Shepley on 0161 339 2433.